Justin D. Holzheauser | Peckar & Abramson, P.C. JD Holzheauser is an Associate in Peckar & Abramson’s Austin office. He represents contractors, subcontractors, owners, developers, and suppliers on a diverse range of construction matters, including dispute resolution. 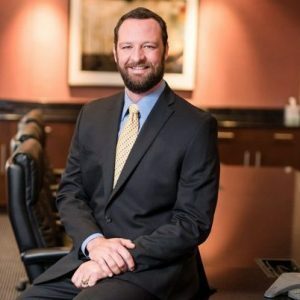 Prior to joining Peckar & Abramson, Mr. Holzheauser worked as a political affairs consultant, representing his clients’ interests to the Texas Legislature and state regulatory agencies. He also served as an intern with the First Court of Appeals of Texas, the U.S. District Court for the Southern District of Texas, and as an assistant bill clerk with the Chief Clerk’s Office of the Texas House of Representatives. Mr. Holzheauser’s construction industry experience also includes his tenure with Whiting-Turner. Mr. Holzheauser earned his J.D. from South Texas College of Law, where he also served as an Assistant Editor of the college’s Construction Law Journal. He has a B.S. from Texas A&M University in Construction Science. 3D Printing in Construction, Modern Contractor Solutions (2015). Liquidated Damages Clauses Commonplace in Construction Contracts, Modern Contractor Solutions (2014). What to Expect in the New Year, Modern Contractor Solutions (2015). Getting Ready For OSHA, AGC Law in Brief (2016). Texas Energy Sector Infrastructure Improvements Pave the Way for Good Business, Texas Contractor (2017). Review the 85th Legislature on the Construction Industry, Construction News (2017). Perfecting Texas Mechanic's Liens, Austin Lawyer (2017).